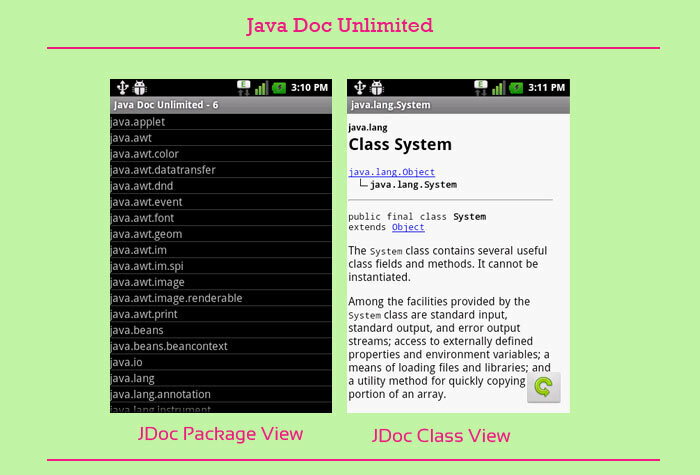 An Android application that is useful for reading your Java Documentation on Mobiles and Tablets. We face so many problem while accessing java documentation from devices because for their small screen & documentations 3 part structure [packages, classes & class info]. Here this application separates these parts & make you available these section at easy way. You can also search for classes by using search facility.